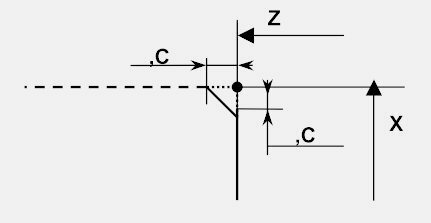 The linear movement programmed with G01 G Code can be linked to the movement of the next cnc program block by a chamfer (C) or a radius (R). The chamfer can be identified by just the letter C followed by the value. 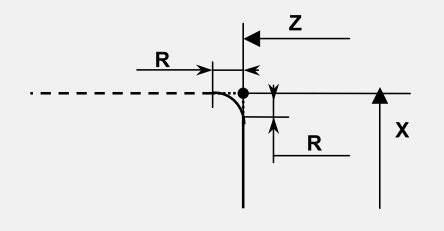 The Radius can be identified by just the letter R followed by the value.